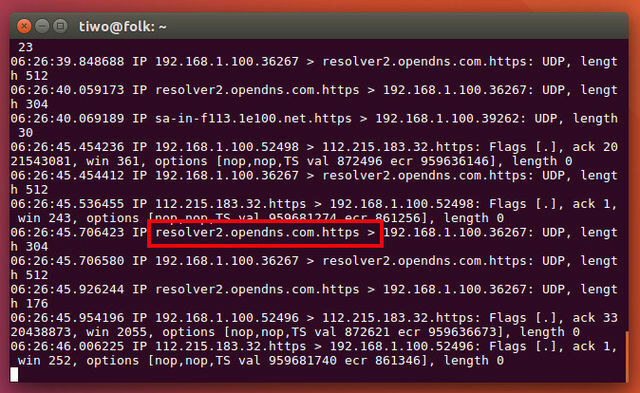 Encrypt DNS Traffic in Ubuntu Linux with DNSCrypt - DNSCrypt is a protocol that authenticates communications between a DNS client and a DNS resolver. This is great tool for securing communications, prevents DNS spoofing, man-in-the-middle attacks (MITM), and spoofing. DNSCrypt uses cryptographic signatures to verify that responses originate from the chosen DNS resolver and haven't been tampered with. DNSCrypt available for major operating systems, including Linux, OSX, Android, iOS, BSD and Windows. Start from Ubuntu 16.04 LTS, DNSCrypt can now be installed without adding the PPA into the system. To install dnscrypt-proxy package on Ubuntu 16.04 LTS Xenial Xerus and based Linux distribution is as easy. We can easily install the package without adding a PPA into the system. into Ubuntu sources.list that located in /etc/apt/ directory. Well, if you love the GUI based, you can easily enable it in Software & Updates. 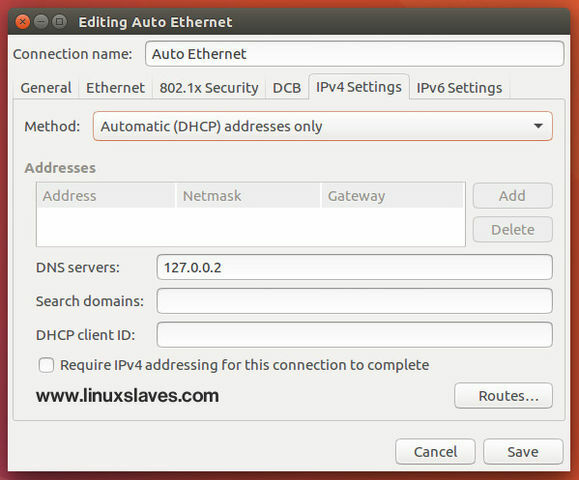 After installing DNSCrypt, you need to set the network connection DNS server to 127.0.0.2. 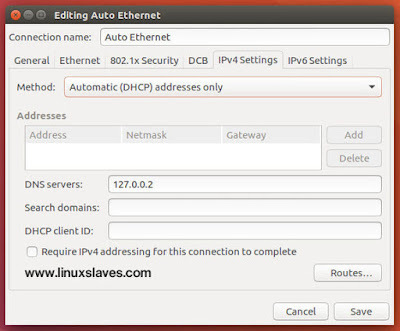 We can use Network Manager GUI to change the DHCP settings. Step 4 - Final touch, now restart the network connection. Head to Network indicator then Enable Networking twice. It's mean disable and then re-enable. 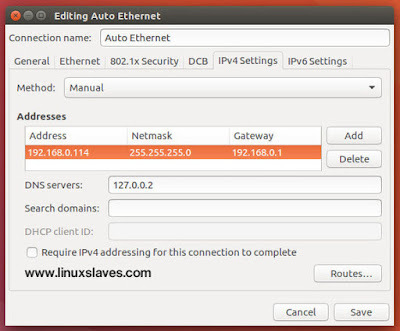 Change eth0 with your with your current network interface like wlan0, wlan1, etc. You can find the network interface using ifconfig. 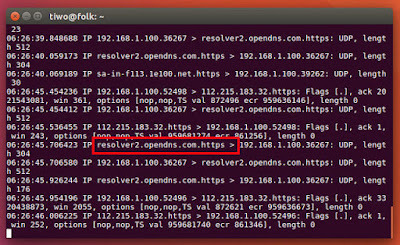 If you see resolver2.opendns.com.https then it means the OpenDNS via DNSCrypt works correctly. Well, that's all I can write about step-by-step to do to install and configure DNSCrypt / dnscrypt-proxy in Ubuntu 16.04 LTS. Visit http://dnscrypt.org/ for more information.